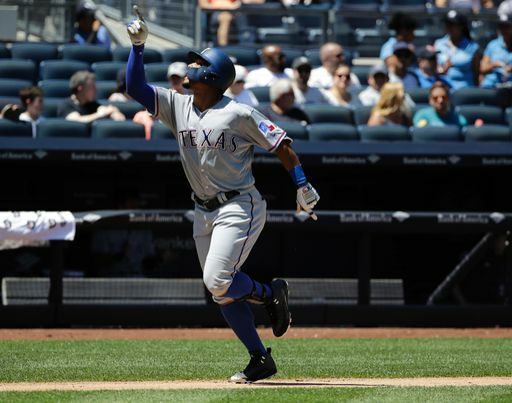 The Yankees were unable to get a winning streak going against the Rangers in an 8-1 loss on Saturday. 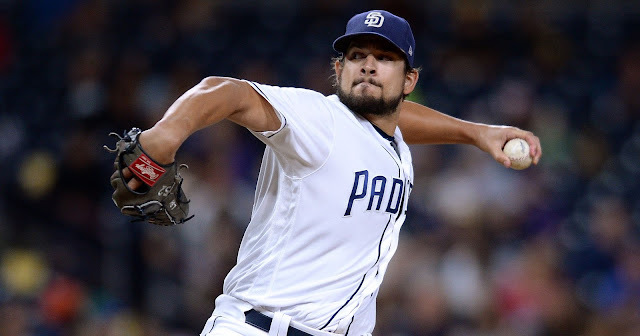 The bats were quiet all game long, and the Bomber's bullpen continued to struggle. 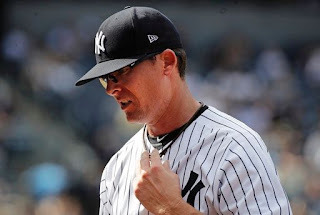 Tyler Clippard stunk up the place, and the sole RBI of the game was a homerun by, you guessed it, Aaron Judge. Luis Cessa got the ball as the Yankees looked to build on a walk-off win last night in the Bronx. Cessa’s last start wasn’t very good, so the pressure was definitely on him to perform. He got into a little bit of trouble in the top of the first, as Elvis Andrus singled to plate a run for the Rangers. Cessa would get out of a first and third, two out jam, though, striking out Rougned Odor and Carlos Gomez. The Yankees offense was silent from the start, but the lineup looked a little different than usual. 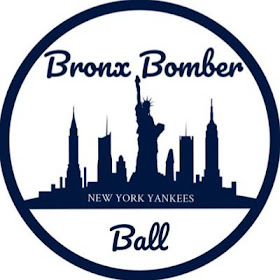 Gardner and Sanchez were given days off, while Headley remained out with back spasms. Mason Williams played centerfield, moving Hicks to left. Romine got the nod behind the dish, while Torreyes remained at third. Most notably, Tyler Austin made his season debut at first base. The Yankees designated Chris Carter for assignment (FINALLY) after the game last night. Cessa started getting into a little bit of a groove. That was until Carlos Gomez demolished a two-run homer to left field to give the Rangers a 3-0 lead in the top of the fourth. Longtime Minor-leaguer Austin Bibens-Dirkx (I spelled this wrong 3 times) got the ball for the Rangers, and he looked very sharp. He made the Yankees chase a lot of balls out of the zone and got a lot of weak contact. Through four innings, the Yanks were held to just 2 hits. Jonathan Holder came on in the sixth to take over for Cessa. After giving up a leadoff double, he escaped with no damage. In the bottom half of the inning, “MVP” chants resonated in the stadium. Why? You can probably guess. 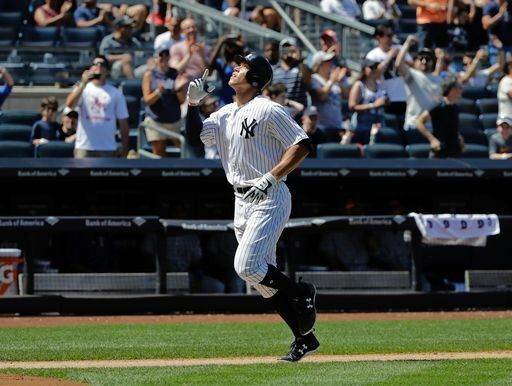 Aaron Judge crushed homerun number 26 into the left field bleachers. 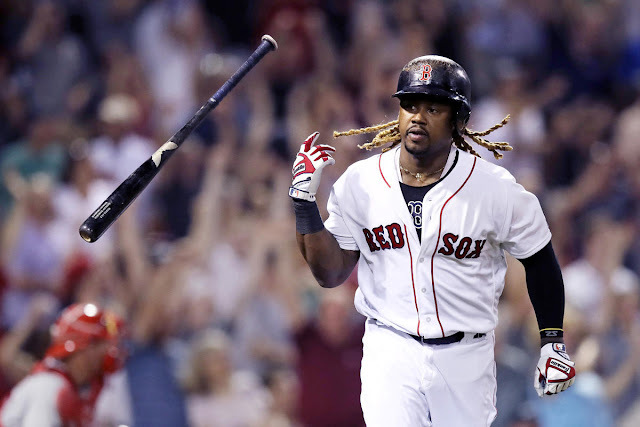 Unfortunately, the solo shot only narrowed the Yankees' deficit to two runs. The Rangers would get that run right back, though. A solo shot from Robinson Chirinos extended the Yanks deficit to 4-1. Tyler Webb came on to make his debut for the Yanks, and he went a solid 1.1 innings without allowing a run. Nothing going for the Yanks bats through eight full innings. Tyler Clippard came on in the ninth inning looking to rebound from his recent struggles. Coming into this appearance, Clippard had a 10.80 ERA in his last 6.2 innings of work. Clippard walked Gomez to start the inning, and he ended up stealing second base. Tagging up on a pop up to Hicks (yes, a pop up to left field), Gomez reached third and ended up scoring on a wild pitch. Clippard walked the next guy, and heard loud boos from the fans in the Bronx. Thankfully, the next hitter was Pete Kozma, who we all know has a terrible approach and couldn’t hit sand if he fell of a camel. He popped up to Didi for the second out. After that: single, double, double, and the Rangers took an 8-1 lead. The Yankees bats would continue to stay silent, as they would go down in order in the bottom of the ninth. Rangers win, 8-1.